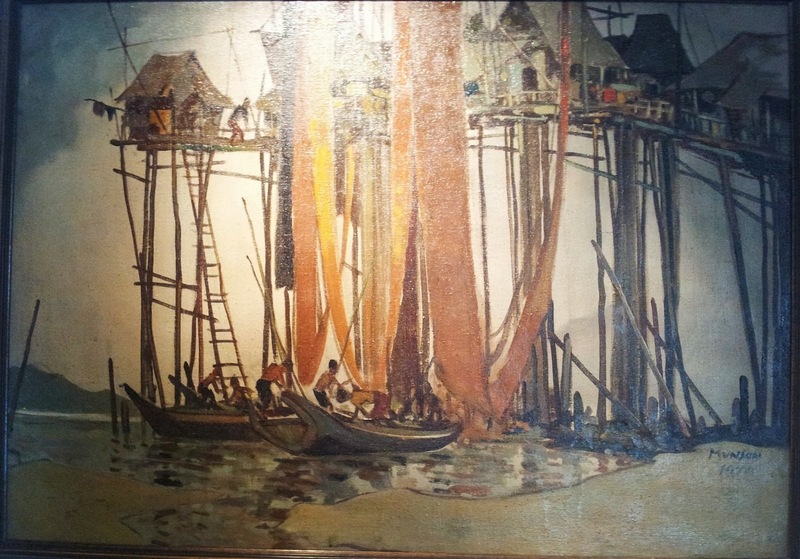 Malaysian art is gaining much popularity amongst art collectors, art historians and the like. Both Malaysian traditional forms of art as well as contemporary art works have their own band of followers. Initially the National Art Gallery in Kuala Lumpur was the country’s premier art institution but today galleries are mushrooming all over the country as they provide an alternative platform for established and up and coming artists on the vibrant and burgeoning Malaysian contemporary art scene. Art events in Malaysia today are generally sell-out events and works by Malaysian contemporary artists as well as established names have been sold and auctioned at record prices both within the country and overseas. Born in 1924, in Bongor in Java, Mohamed Hossei Enas came to Malaysia in 1947. Considered to be one of the original masters of Malaysian art and known primarily for his European realistic paintings, Hossein was a member of the Fellow Royal Society of Arts and his work encompassed many mediums. He was especially known for his life like portraits especially his works, which depicted Malaysian Royalty. 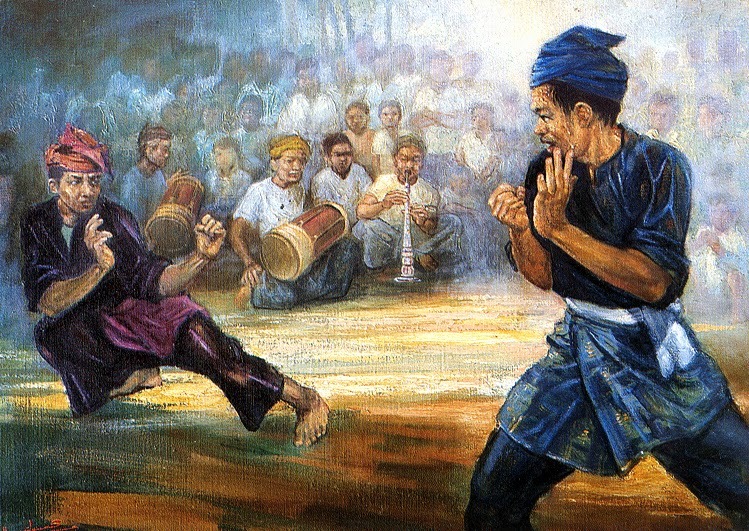 Enas founded institutions like the Majlis Kesenian Melayu or the Angkatan Pelukis Semenanjung, an institution dedicated to producing traditional Malay artworks. His Royal Highness, the Sultan of Selangor appointed him Royal Portrait Painter in 1990. Hossien Enas passed away in 1995 leaving behind a rich legacy of heritage and artwork which adorn royal halls and walls until today. Abdullah Arif was born in Penang in 1904. A self-taught artist, he went on to acquire a position of an art teacher at the Anglo-Chinese school in Penang. 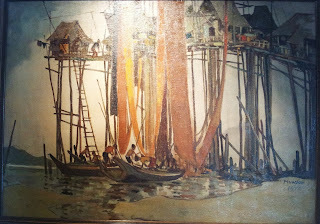 In the 1920’s, Penang’s art scene was mainly limited to a group who called themselves the Penang Impressionists. This group consisted of amateur European artists who were basically wives of the British officers stationed in Penang. No Asian artists were allowed into the group, though Abdullah Ariff gained admittance in the mid-1930s as an instructor. However, World War 2 caused the group to disband never to regroup. Abdullah Ariff was respected as a pioneer of watercolor painting in Malaysia and during his long and illustrious career, he exhibited his masterful works overseas at various locales like the Mint Museum, Charlotte, North Carolina, museums and galleries in New York, the Royal Society of British Artists in, London and at the galleries at Grand Palais des Champs-Elysees, France. In 1957, one of his works was chosen to be presented as a personal gift to Malaysia’s first Prime Minister, Tungku Abdul Rahman on the occasion of Merdeka (Independence day) celebrations. 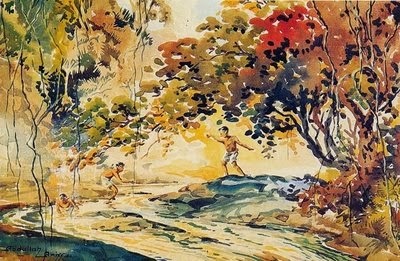 Ariff passed away in 1962 leaving behind a rich legacy of watercolor paintings. During his lifetime Ariff had followed a philosophy that "Art knows no barriers" and this thought lives on amongst his students and admirers until today. Yong Mun Sen was born in Kuching, Sarawak in 1922. He initially studied calligraphy and brush art in China but he returned to Sarawak in 1917 and then went on live in Penang where is artwork really flourished. In 1937 he was named president of the newly formed Penang Chinese Art Club. The outbreak of World War 2 hampered his growth somewhat, but soon after the war he exhibited his works in Malaya and Singapore. 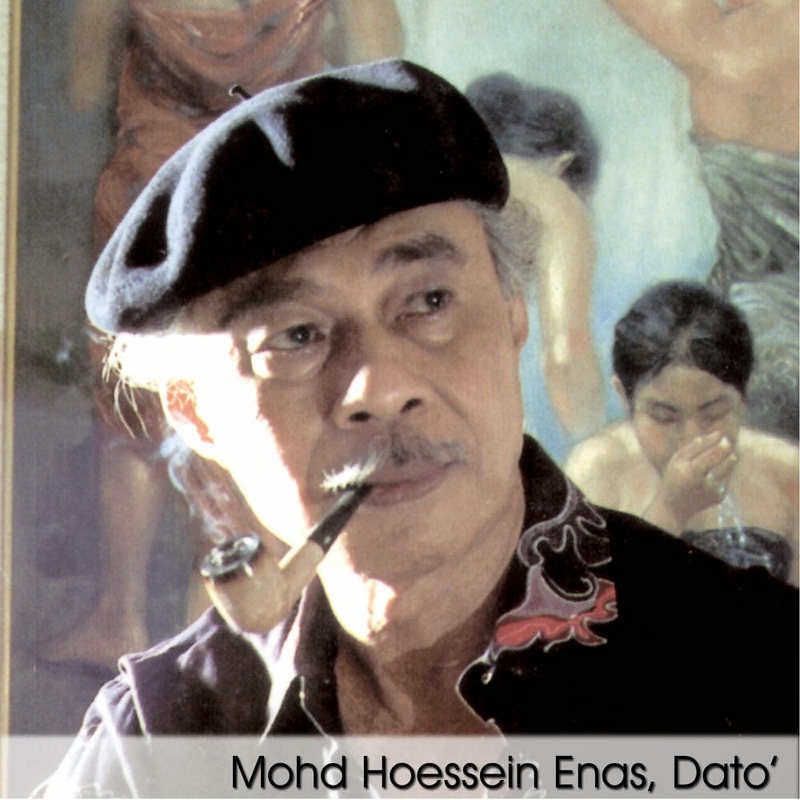 He soon came to be very well known and was respected as the Father of Malaysian Painting. Yong Mun Sen came to be especially renowned for his watercolors, where he married traditional Chinese art with Western styles. Ill- health dogged his last years and he passed away in 1962. In 1972, the National Art Gallery of Malaysia organized a retrospective of his works and in 2003, one of his relatives set up the Mun Sen Gallery to showcase his works. Mun Sen’s works have also been exhibited at various well-known art galleries like Valentine Wille and Galerie Petronas. Datuk Tay Hooi Keat was born in Nibong Tebal in 1910 and he went on to marry a fellow art teacher Tan Gek Khean in 1931. He was friendly with Yong Mun Sen and the two artists went on painting exhibitions together. It is said that his first watercolors were somewhat influenced by the works of Yong Mun Sen.
Tay Hooi Keat was one of the founding members of the Penang Chinese Art Club in 1936 and participated in various exhibits there until its closure in 1939. He held his first solo exhibition at the Penang Library in 1948 and in that year, he was awarded the Ministry of Education scholarship to study art at the Camberwell School of Art in England. He returned to Malaysia in 1952 and got heavily involved in teaching art rather than painting. Even then, he did go on to host solo exhibitions in 1955 and 1948 at the British Council-Penang Library Hall though he incorporated a number of styles like realism, impressionism, cubism and abstract expression in his works. He was appointed Chairman of Penang’s Museum Art Gallery in 1964 and held the post until he passed on in January 1989. Today his colorful and enchanting works are visible at the National Art Gallery in Kuala Lumpur as well as the Penang State Gallery.